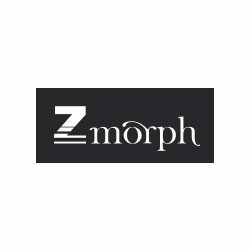 ZMorph (pronounced zee-morph) took its name from the Greek word morphe, μορφή (form, signifying change; shape; form; shape; figuratively, nature), which in our understanding directly relates to the process of emerging (materialization) through three dimensional printing. Why Z? ‘Z’ stands for third dimension, as in cartesian coordinate system (XYZ), therefore the name can be understood as ‘the one that creates objects in three dimensions’. The first design of the Zmorph 3D printer was created in 2012 as a modification of the RepRap open source printer project.The main objective of the project was to make 3D printing technology available to users unfamiliar with programming, electronics or mechanics, but who can benefit from a simple way of prototyping for their own products. Implementation of an open 3D printing FFF technology (Fused Filament Fabrication), or layering of liquid plastic, will also allow many artists, architects, designers and sculptors to greatly accelerate the development of their ideas.